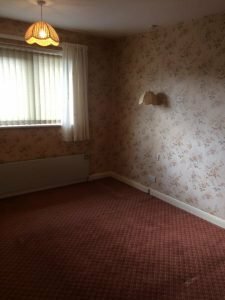 Our team arrived at 09:00 AM on the day of the appointment, the property was cleared by approximately 13:00 PM. 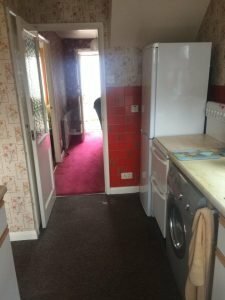 All contents were to be taken minus a white electrical cooker. 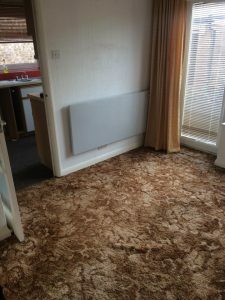 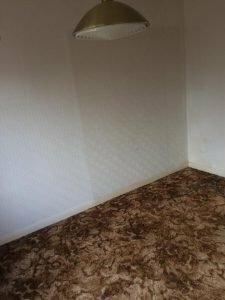 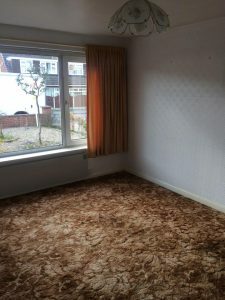 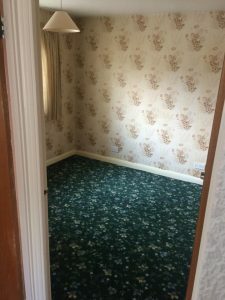 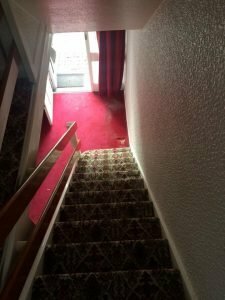 All carpets and curtains were also removed. 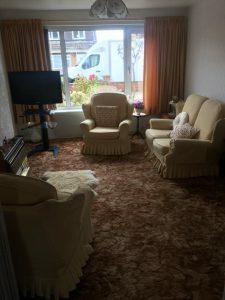 The following items were donated to local charities in Cumnock: kitchen appliances i.e microwave, toaster, kettle (branded Russel Hobbs), unopened cutlery sets, nest of brown wooden tables, a 32inch Toshiba TV, DVD player, cassette player, records, DVDs, glass wear, dining table and four matching chairs, gardening tools, ironing board, clothing, handbags, foot wear, bedding, cushions, wall clocks, book shelves, books, two round wall mirrors. 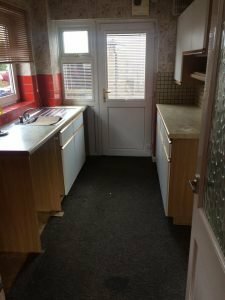 The following items were recycled at a local waste transfer centre in Cumnock: pots and pans, dining sets, cleaning equipment, toiletry’s, a large sofa suite, two matching arm chairs, glass display cabinet, two double mattress’s, two head boards, two bed bases, a three piece wardrobe, large walnut chest of draws, pine unit, all white goods inc – Beko fridge freezer, Indesit washing machine. 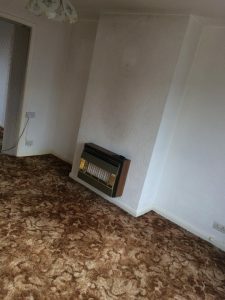 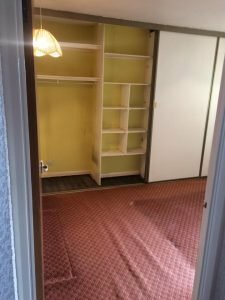 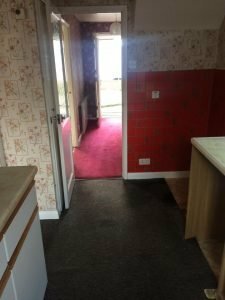 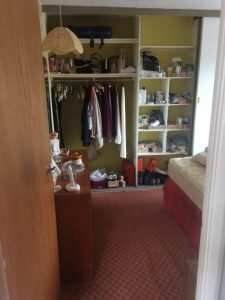 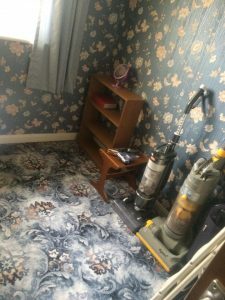 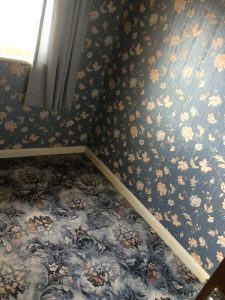 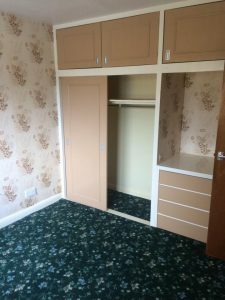 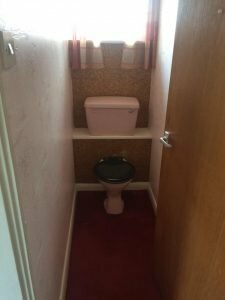 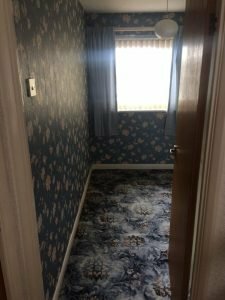 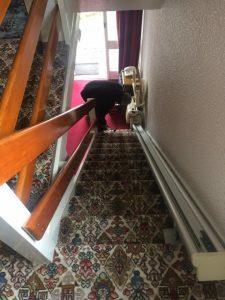 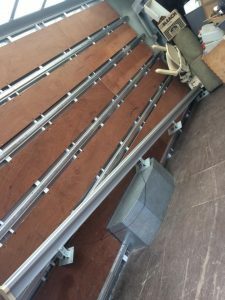 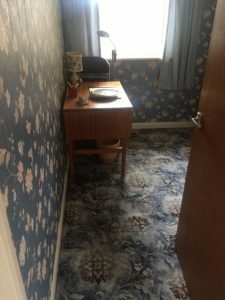 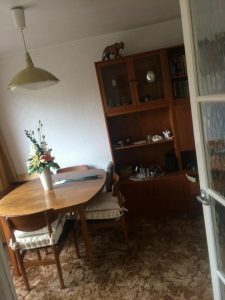 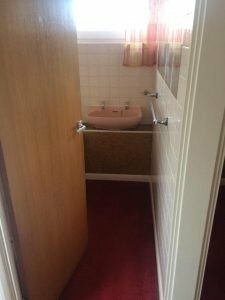 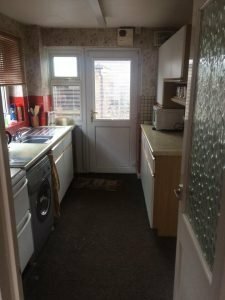 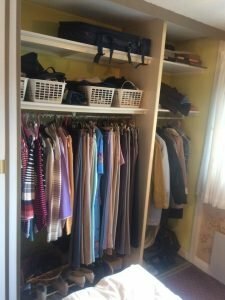 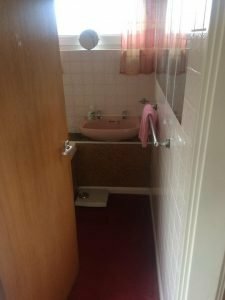 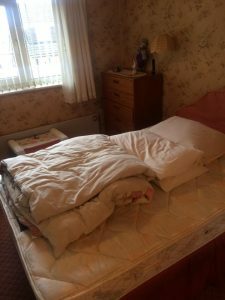 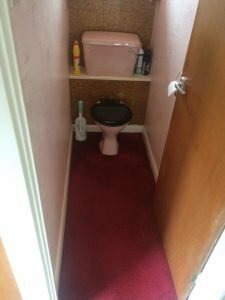 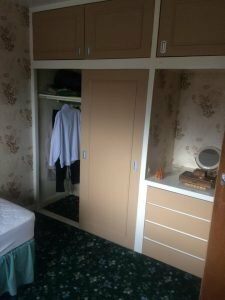 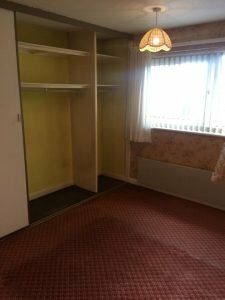 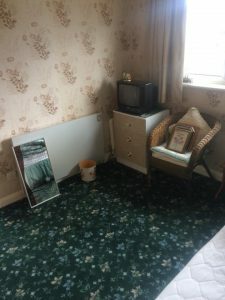 The property was a two bedroom cluttered house situated on a busy main street. 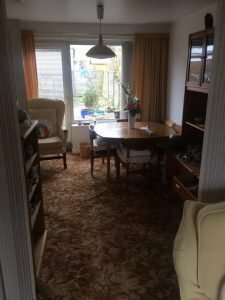 During the house clearance a lot of food contents were found in date and donated at a local food bank within the Streatley area.